In concert and over the radio airwaves, Hillbilly IDOL continues to capture new audiences with their catchy and exciting roots influenced repertoire. 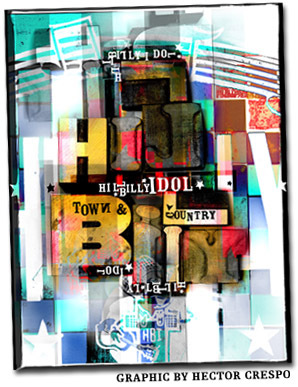 Hillbilly IDOL draws from the deep, rich well of American music to blend an original hybrid sound they call Town and Country Music. Since 1991 and with three CDs under their belt, Hillbilly IDOL remains dedicated to infectious beats, heartfelt harmony singing, crisp instrumental picking, and solid songwriting about timeless themes. It's simple music that's easy to take, hard to fake, fun to make - and fun to listen to. It's acoustic and electrifying, uptown and down-home, new yet familiar. One boot in the future and one boot in the pasture. Hillbilly IDOL, NE Ohio's premier Honky-tonk and Roots music ensemble, has been known since 1991 to present a wide spectrum of American Country music, from Original to Classic, Traditional to cutting edge. 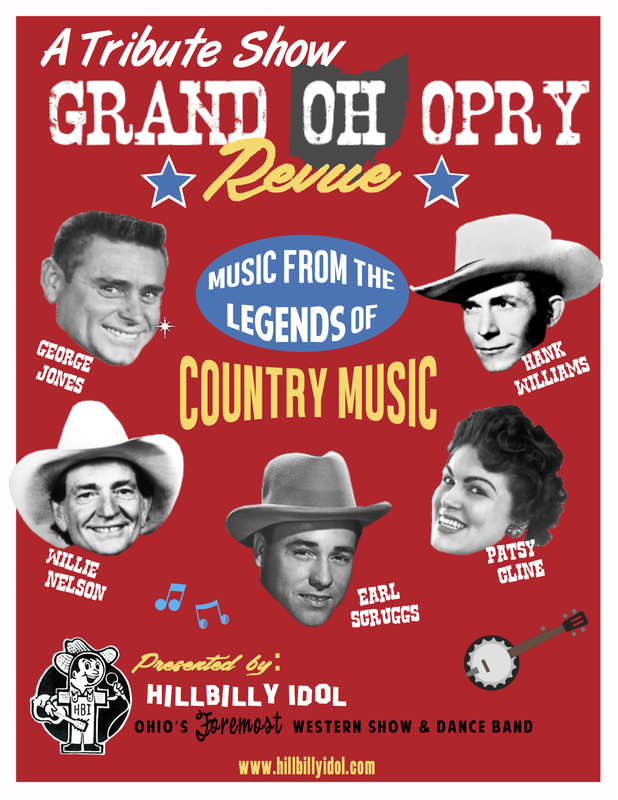 Now, in an effort to present a concert of Classic Country from the Golden Era, the men in Hillbilly IDOL have produced a new show, the Grand OH Opry Revue, featuring music from the legends of American Country music. This show is ideal for stalwart fans of American Country music, as well as the perfect introduction to this proud music for folks new to the genre who are just looking to be entertained. In this show, Hillbilly IDOL performs lively Western Swing, Honky-Tonk Dance songs, Ballads, Bluegrass, and popular country chestnuts from the likes of Hank Williams, Johnny Cash, Willie Nelson, Patsy Cline, and many many others. You'll think you walked through the doors of the Historic Ryman Auditorium, the Mother Church of Country Music. Currently booking 2018-2019 and beyond. Site designed and developed by WRIS .